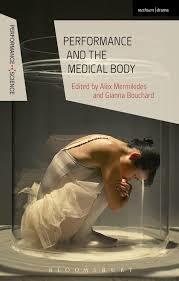 Celebrating the launch of Performance and the Medical Body, which Alex co-edited with the marvellous Gianna Bouchard. A lovely ‘do’ hosted by Anglia Ruskin and followed by a performance of bloodlines at the Mumford Theatre. The book consolidates many of the strands explored by the Chimera network – and features chapters by scholars and artists associated with Chimera activities.